Help your customers install long runs faster and straighter with extra-long lengths of our electrical metallic tubing (EMT) and rigid metal conduit (RMC). 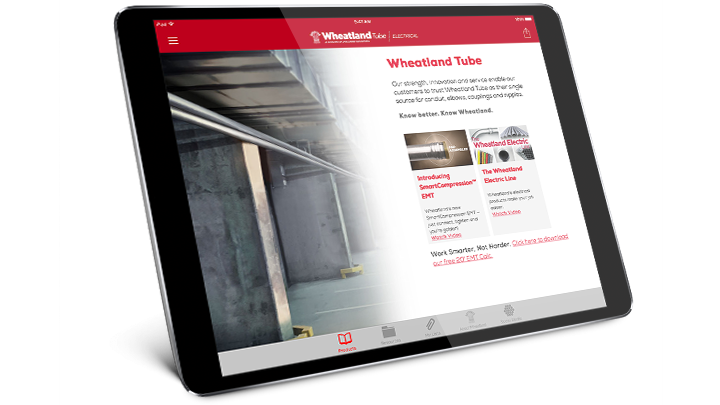 With the same high quality standards of our 10′ EMT and RMC, Wheatland Tube’s 20′ products can be installed in long runs in half the time, with half the connections. Made of steel in the USA, it’s sized right for warehouses, manufacturing, big-box retail, energy, infrastructure, parking garages, healthcare, mass-transit rail, and stadium applications. We’re local! Depend on Wheatland Tube to keep you stocked with the full range of electrical products, all available for next-day delivery from our 21 stocking locations. We MAKE IT eZ. Get complete details about our 20' EMT and conduit. See all of our 20' EMT and conduit resources.